North East athletics stars Steve Cram and Aly Dixon have lent their support to a team of runners who will be raising money this weekend for a charity that tackles youth homelessness. 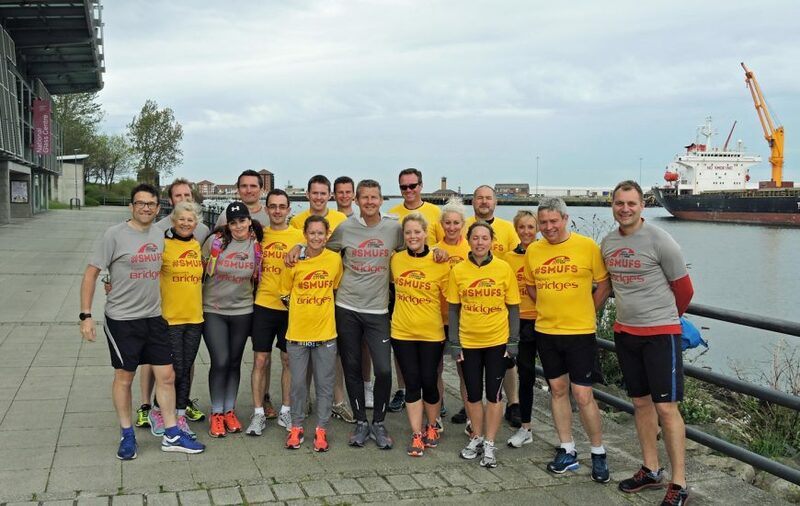 Over 25 people will be taking part in the Siglion Sunderland City Half Marathon and 10K on Sunday to support LandAid, in an initiative coordinated by event sponsor Siglion and North East members of the Royal Institute of Chartered Surveyors (RICS). As part of their final preparations, the fundraisers were joined by Cram and Dixon for a run along part of the course, followed by a question and answer session during which the two stars offered advice and top tips for race day. The Run Sunderland Festival 2018 is being organised by Events of the North, in partnership with Sunderland City Council and Active Sunderland. Featuring the Siglion Sunderland City Half Marathon and 10K, the event will take place on Sunday 13 May, when more than 4,000runners are expected to take to the streets of the city. Siglion, the organisation carrying out major regeneration projects on the Vaux site and at other locations in the city, is once again sponsoring both races, which will start and finish in Keel Square, a site that has become a symbol of Sunderland’s renewal and regeneration. Every year, 80,000 young people in the UK experience homelessness and LandAid is a charity that was set up by the property industry and to address the issue. RICS is celebrating its 150th anniversary in 2018 and has formed a partnership with LandAid to deliver the biggest fundraising initiative in the charity’s history. Siglion, led by the company’s CEO John Seager, is supporting the project, and has helped recruit runners to fundraise during the Run Sunderland Festival. The firm recently extended its association with the festival and signed a sponsorship deal for a further three years, taking the partnership beyond the 10th anniversary of the event in 2020. “This is a fantastic event for the city and one that – as well as showcasing the revival of Sunderland – also promotes health and wellbeing, and raises much-needed funds for a large number of worthy charities.